Reminiscent of the days of freight train hopping and hitchhiking musicians, these parlor size guitars deliver exceptional string to string balance and well defined articulation. Whether fingerpicking gently or backhanding open chords, the Roadhouse promises excellent playability with a vintage vibe. 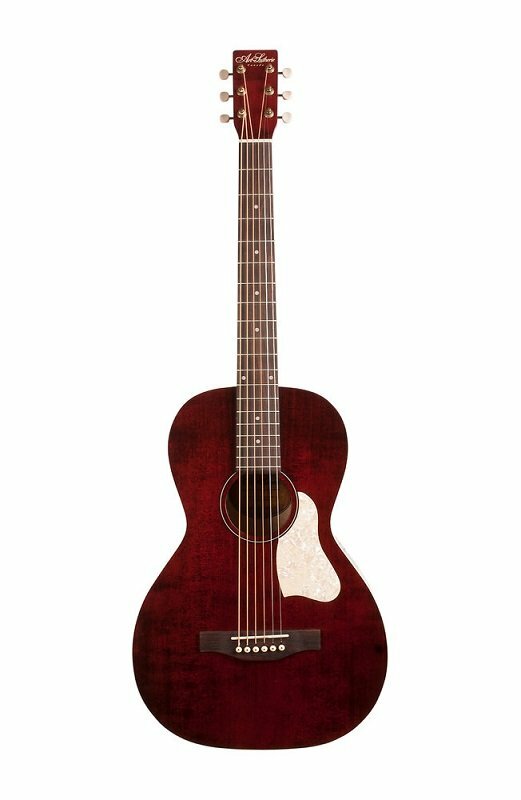 It comes equipped with the Fishman Sonitone pickup featuring sound-hole mounted volume and tone controls. Offered in Bourbon Burst, Faded Black or Tennessee Red, the incredibly affordable Roadhouse projects and resonates beautifully alone or plugged in.